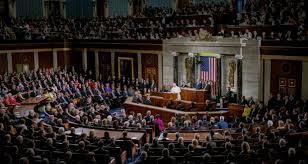 [By Christopher White from Catholic Voices USA] In his historic address to the United States Congress—the first in the history of the United States—Pope Francis used the lives of four prominent Americans to illustrate Catholic Social Teaching. In Abraham Lincoln, he observed that Lincoln’s commitment to liberty mirrors that of the Church’s commitment to both religious liberty and individual freedom. In discussing the life of Martin Luther King, Jr., he noted that he had a dream that all men were created equal. He urged Americans to capture that same spirit and recognize the dignity and value of immigrants to this country. Dorothy Day, the founder of the Catholic Worker Movement, fought for the value of workers. Francis used her legacy to heed congress to build an economy of inclusion. He affirmed that business is a noble enterprise but that it must be at the service of people. Lastly, he used the life of the Cistercian monk Thomas Merton to call for dialogue among people of all nations and peaceful coexistence. He memorably joined the U.S. Catholic Bishops in urging for the abolition of the death penalty. He rebuked the arms trade and urged for Congressional action on the environment. Finally, he ended his address stating that the primary reason for his visit to the United States was for the World Meeting of Families. He used this occasion to urge for a strong defense of marriage and family life, which has contributed so much to the success of the United States.